After failing in Europe, NFL had to look somewhere else. Who knew that the next destination will be China! 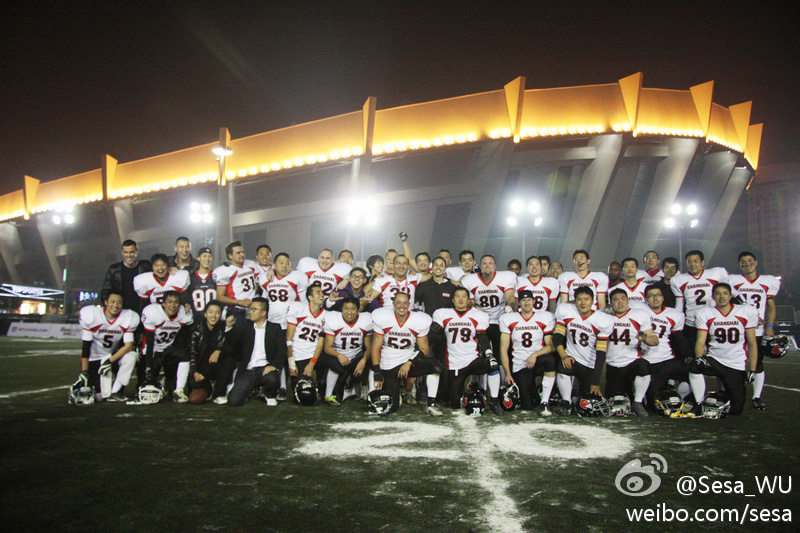 After couple failed attempts, NFL China is finally growing and spreading the sport we all love - American football. Our friends from Amer Foot are bringing you this exclusive interview with Richard Young, Managing Director of NFL China. How would you define your role as MD of NFL China? I am responsible for the operations of the National Football League in China, this includes everything from marketing and promotion, to media deals to events and development of the league. The NFL seems to have switched its interest from Europe to Asia – do you have in mind the failure of the NFL Europe while developing in China and does the European experience influenced the way the NFL considers its future expansions? I don’t believe that it has “switched” I believe it has focused on the areas that are working well. For example the International Series Game held at Wembley stadium in London every year has been a big success and they are looking at holding two games in the near future. I do think that the experience in Europe has influenced the way that NFL sees international expansion but not in a negative way, more in a way that now builds on established success. What are the goals of NFL China and what impact do you expect after the event “NFL Experience”? The NFL Experience events in Shanghai and Guangzhou were the largest events ever in Asia ex-Japan, so they were significant events in terms of development. These events are scalable and we look to holding bigger and better events in the future and then to increase the number of events in areas we can be sure they will be well received. Is there a difference between Chinese and Western sport culture and is it a cultural difference or simply a traditional difference? An excellent question and it lies at the core of what we are doing in China. We believe that the NFL is a great product both in terms of sport and entertainment. It is a game that is easy to understand the basics but one that a person can study for their entire life and still not fully master. I would say over 75% of the people I know that were fans of another sport and then began their interest in American football say that football is either their #1 or #2 sport. Once a society has a choice of products then the competition for individual consumers begins. Cases of true cultural differences in areas of personal consumption are rare. People are quick to cite cultural differences when in truth it is just that previously they have not been given the option to choose. For example I have been in China long enough to see quite a bit of change and when I was a student in Beijing I invited my roommate out for a cup of coffee. At that time in Beijing there were only a few coffee houses. He was polite and drank the small cup of coffee but his facial expression showed that he did not enjoy the experience. As we walked out he said “Richard, Chinese people will never drink coffee”. It is true that most Chinese do not drink or brew coffee at home and tea is still the most popular drink but it does not mean that Starbucks does not have a business opportunity in China. In the same way we are not going to supplant table tennis, badminton, volleyball or soccer but it does not mean that we don’t have a business opportunity in China. Considering Chinese culture and traditions, parents tend to be apprehensive toward a sport because of its violent nature but also because of China’s policy limiting families to only one child each, which makes them extra protective of their children. How do you overcome this specific difficulty? I think that when the benefits of participating in sport become apparent there will be a strong interest in sport in China. I think that most successful people recognize that it is not just mental horsepower or test taking ability that gets you ahead in life it is the ability to lead or be led depending on the situation, relying on another and letting them rely on you, knowing when to step up and when to take responsibility and how to pay in a team that is just as important and these are taught by sport. Once the value of these is recognized I see an increased interest in grassroots sport in China. 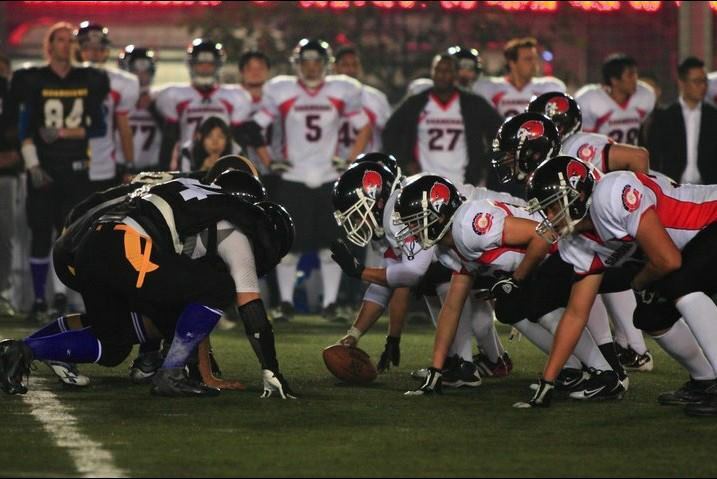 Which form of the American Football is the most popular in China ; flag , full contact , backyard semi contact? At the moment it would have to be flag football for participation and full contact for viewing. I do believe that contact football will grow in China but it needs time for coaches to develop and for equipment to become more available. The NFL supports a University Flag Football program and is also working closely with China’s 14 state-run sports schools – could you tell us more? Our 44 University flag football program is in its 3rd year and is going from strength to strength. This year we focused on developing the referees to make them more professional as the quality of the competition is growing every year. 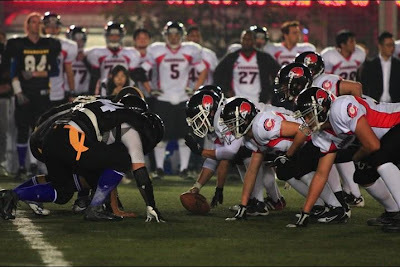 American Football has much to overcome if it is to succeed in China, a place where soccer and basketball have already planted roots. What impact did a clinic held by the NFL players in Shanghai had on the local community? In December 2010, the NFL sent Ed Wang, Offensive Tackle for the Buffalo Bills with Chinese origins, to hold a clinic for the Shanghai Sea Dragons team. It was significant. Many people in China still see sport as a channel for both ethnic and national pride and having someone that they can fully identify with playing in the NFL was a big step. The NFL hasn't switched its support from Europe to Asia? ?